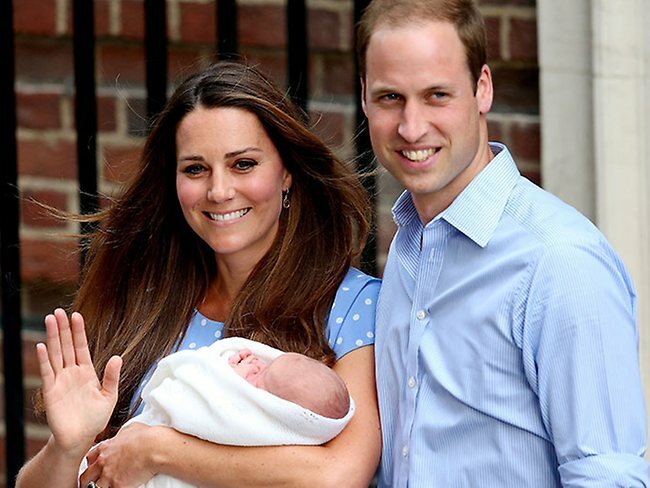 Welcome into the world little Prince George Alexander Louis! Like so many people around the world, we are so excited about the latest addition to the British royal family. William and Kate look so thrilled with their beautiful son and will be wonderful parents to this little boy who will one day be King George VII. As a celebratory post for the new parents and royal enthusiasts everywhere, we have conducted a poll in which hundreds of votes were tallied to find out what the best films to feature members of the British monarchy both past and present are. Some of the results may surprise you and hopefully some of them will encourage you to find these wonderful historical films which demonstrate how there are some truly amazing stories embedded in British history. Please note that this list is based purely on the votes which we received to determine the order in which these films appear and which films are included. Movie Critical has not altered the list in any way from the way in which votes were received. Coming in tenth place in Mrs Brown. In this 1997 film, Judi Dench was nominated for an Academy Award for her portrayal of the grieving Queen Victoria who befriends a member of her household, Mr John Brown (Billy Connolly) much to the dismay of her advisors. Dench's performance is exquisite as she shows a side of Queen Victoria that was not on display to the public who always saw her as a strong leading figure. Her mourning of her late husband, Prince Albert is heartbreaking and the family dynamics featured in the film between her and her children are exceptionally powerful. From one Queen Victoria portrayal to another, The Young Victoria is number nine. This film, as the name suggests, is about Queen Victoria's younger years from the year before she was crowned to the birth of her first child (Victoria and Albert had nine children together). The Young Victoria is such a success for a number of reasons. It has been critiqued by many as being exceptionally historical accurate with amazing performances, particularly by Emily Blunt as Victoria (who earned a Golden Globe nomination), Rupert Friend as Albert and Miranda Richardson as the Duchess of Kent. It is also a love story about Victoria and Albert, who's love for each other was extremely obvious to all who knew and looked upon them. 2006's The Queen is about our current monarch and is set in 1997 during the days in which Diana, Princess of Wales was taken from this world. 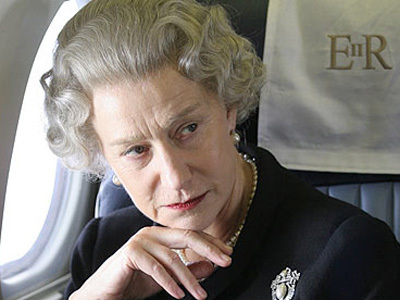 Number eight on our list is remembered in most part for the incredible portrayal of Queen Elizabeth II by Helen Mirren, who won the Academy Award for her extraordinary efforts. While the film as a whole is also wonderful, it is Mirren who's name is always mentioned in the same sentence when this movie is spoken about. Apart from the incredible physical likeness, she personified the reigning monarch so well and allowed everyone to see a different side of the Queen than what we normally see and what we saw during those dark days. 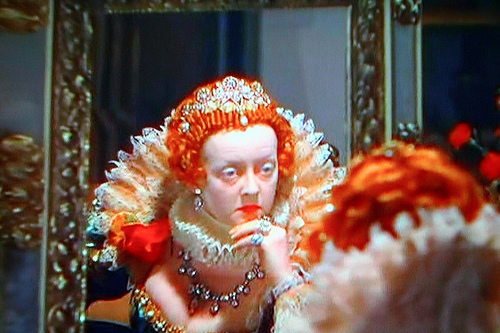 Bette Davis' second career portrayal of Queen Elizabeth I (her first being in The Private Lives of Elizabeth and Essex) in The Virgin Queen is certainly a favourite with Tudor and film fans alike. Anybody who knows anything about Davis knows that she was an incredibly feisty woman and this is a quality that Queen Elizabeth I also possessed. Therefore, Davis was a wonderful Elizabeth and a thrill to watch. The Virgin Queen tells of when Sir Walter Raleigh (played by Richard Todd) comes to court to convince the Queen to allow him a voyage to the New World. He wins her favour, but also the favour of one of her ladies in waiting, Beth Throgmorton (Joan Collins). 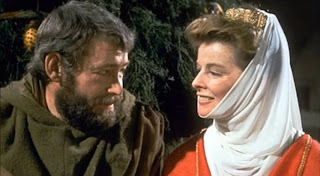 The Lion In Winter is the film on this list which is set the furthest back in time in 1163 AD. King Henry II (Peter O'Toole) is aging and yet to name which one of his three son's will be his successor. While he is deciding, his three sons and his imprisoned wife, Eleanor of Aquitaine (Katharine Hepburn) decide to force his hand over a very heated Christmas period. This film contains one of the best screenplays you will ever see with incredibly witty banter between all of the characters, resulting in some of the best arguments on screen. All performances are wonderful, but Katharine Hepburn leaves the biggest mark on the film and this was the role that earned Hepburn her third Academy Award. The King's Speech charmed everyone who saw it by way of it's touching story which made the royal family seem as human as the rest of us, beautiful performances and also it's wonderful and at times, very funny script. Based on the diaries found by Mark Logue, the grandson of speech therapist Lionel Logue (played in the film by Geoffrey Rush), The King's Speech is about King George VI's (Colin Firth) succession to the throne and his battle to overcome his lifelong stutter. Firth is another actor on this list which earned an Academy Award for his efforts, as the film's director, Tom Hooper and the film also did on this occasion. 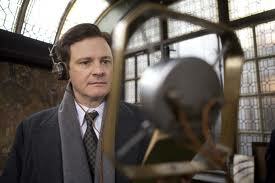 The King's Speech is to this date one of only 3 films which Movie Critical has reviewed which has earned a 10/10 review. Lady Jane is a surprise coming in at fourth on our list. 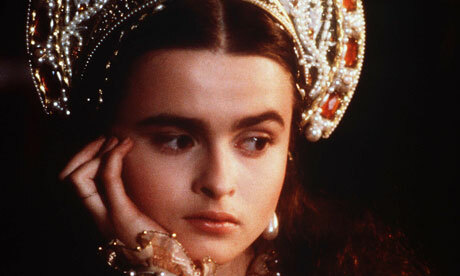 The 1986 film stars Helena Bonham Carter in the lead role as Lady Jane Grey, the ill-fated girl who was queen for only nine days before she was beheaded by order of her cousin, Queen Mary I. Lady Jane is also a love story, as it is also the retelling of the course of Jane's marriage to Guildford Dudley (Cary Elwes). As opposed to her Tudor cousins, the story of Lady Jane Grey is not overly popular and so this film is a treat for historians. It is a wonderful representation of the time period and quite emotional to see this poor girl forced into something which leads to such a tragic end. Philippa Gregory has received wide criticism for the inaccuracies historians declare are in her novels, and the film based on perhaps her most successful novel, The Other Boleyn Girl has had it's fair share of criticism for the same and other reasons. However, none of this has stopped intrigue in neither her books nor in this film and that is why it has been voted into third position on our list of films featuring British royalty. 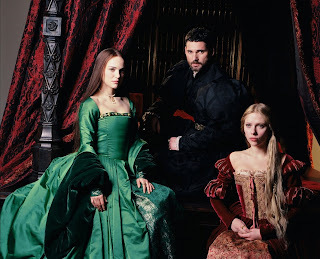 The relationship between Henry VIII and his second wife, Anne Boleyn (portrayed by Eric Bana and Natalie Portman in this film) has been a source of intrigue for centuries. The Other Boleyn Girl has a different retelling of their relationship, as it includes sibling rivalry between Anne and her sister, Mary (Scarlett Johansson) for the affections of the king. Although not historically accurate and flawed in particular ways, it still creates enough intrigue and is representative of such a pivotal point in history that it is still memorable and a favourite of many. From one Tudor film that has been criticised for historical inaccuracy to another which has been praised the opposite. Elizabeth tells of the young Tudor princess'(Cate Blanchett) rise to the throne against all odds and her trials in the first year of her reign, particularly with her chosen love, Sir Robert Dudley (Joseph Fiennes). The film completely throws it's audience into the Tudor world of power and deception. However dangerous a world, it is pure heaven and so addictive to see on screen. 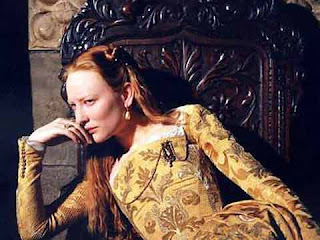 Blanchett is wonderful and it is her and Davis that are the most popular Elizabeth I's to appear on the screen so far. It is brilliant watching her change on screen from a free spirit young girl to the Queen with a hard exterior who was married only to England. As said before, the relationship between Henry VIII and Anne Boleyn is one which has captured the imagination of people for centuries. For those who have seen Anne of the Thousand Days, it will come as no surprise that this film has been voted the number one film of all time that features members of the British monarchy. 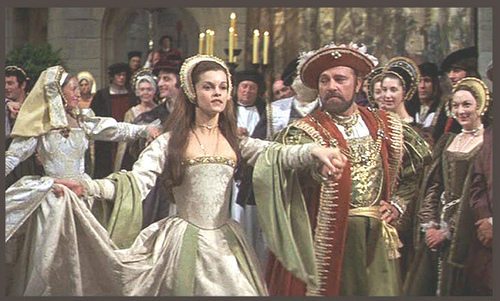 Susan Bordo's book, "The Creation Of Anne Boleyn" (available here from Amazon) talks of how many people believe that Genevieve Bujold's portrayal of Anne Boleyn is the one which culture would have you believe is the most accurate. A strong and feisty woman who's beauty charmed the king, but was also what brought forth her downfall. You can even set up a portable dark room in a washroom. Since most photographers have switched to digital, you can often find inexpensive dark room equipment at thrift stores and on internet sites. You may now download movies on xmovies8 2017 rather than be worried about getting a doubtful quality! True 3-d yesmovies have an endless number of planes. There are times that you don't even need to ride on the train in order for it to derail your childhood. Know more about Watch Full Compulsion Free - Fmovies.